Our little community is very busy with fall festivals and preparing for the little spooks that will be coming to trick or treat parties next week. 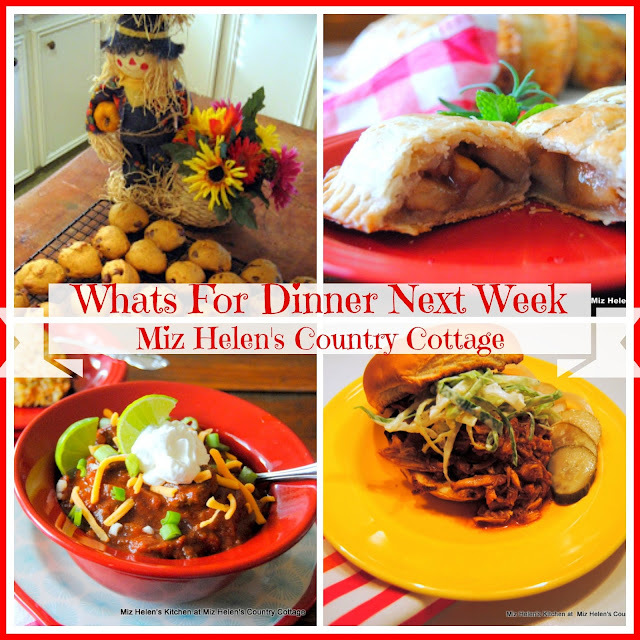 We will be having a great new Slow Cooker recipe on the meal plan this week. Our temperatures are a little lower now, so we will be looking to some recipes that warm the body and soul. We are also looking forward to having some family visiting this week and that is always a very special treat! Thanks so much for stopping by today to spend some time at the cottage with us. Are you taking the time to make meal plans for your family, it sure will save you some time and money if you do. Be safe and have fun with the little spooks this week, hope to see you again real soon! 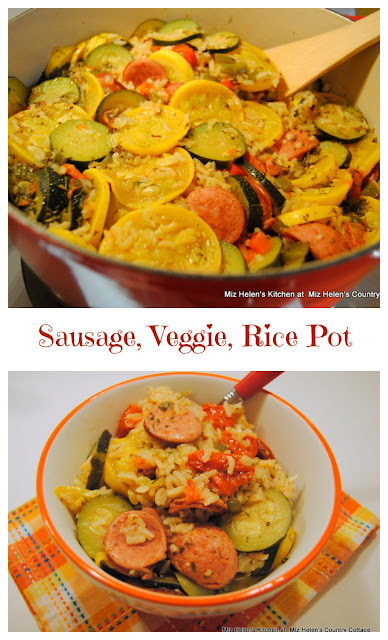 Oh the Sausage Veggie Rice Pot looks good, and please save me a pumpkin chocolate chip cookie! I want to make that french onion chicken noodle casserole from last week, it looks so good! Happy Halloween next week Miz Helen! Pumpkin Chocolate Chip cookies? Yum! Have a great week! It all looks so good but that veggie rice pot looks amazing! Pinned that puppy! Thanks for sharing at the What's for Dinner party! I would love a slice of that gorgeous, colourful Tex Mex Cornbread right now, Miz Helen! Your menu looks fantastic as always! Pinning. Hope you are having a lovely weekend!